Not the Sissy, Buffy and Jody t.v. variety of the late 60’s and not the Sly and the Family Stone tune of the 70’s. Today we’re talking about the cosmetic dynasty of the Lauder family. A nice little jewish girl from Queens grew up to be THE name in ladies cosmetics. 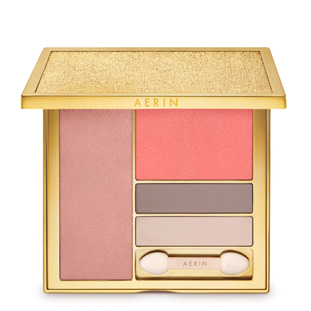 The Estee Lauder company was founded in 1935 and today, in 2012 her grand-daughter Aerin (who has worked for her family’s company for over 20 years) has launched her own line (aptly titled Aerin Beauty)…and the proverbial apple does not fall far from the tree. By now we know I have tried many different cosmetic lines. 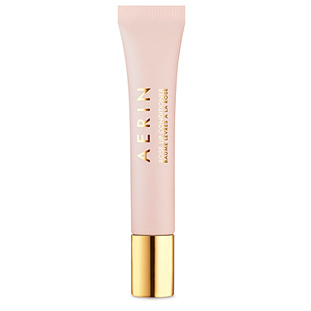 I’ve adored some, could have lived without others, but Aerin Lauder seems to have tapped into a market that didn’t exist until now. She’s created a cosmetic line for the busy woman who still craves luxury but just doesn’t have the time to spend hours in front of her mirror. I will say the entire line is splendid, but I am going to single out 2 items, because I feel like now that I have them I cannot live without them. Firstly I should let you know I am not a trendy makeup person. I prefer to look like myself, but better. No cat eye liner or fake lashes on this face. It seems Ms Lauder’s philosophy is the same. She has offered 2 palettes in her fall collection which she titles Weekday and Weekend. (Because of my coloring I chose the Weekday one, so that is the one that I will be referencing today). It comes with 2 neutral shadows, 1 highlighter and the most flattering blush. It is served up in the most beautiful brushed gold, mirrored compact, which comes in a light pink, felt bag that is absolutely 100% reusable for travel, or jewelry or any other use you can think of. Since I’ve brought this home with me I’ve used nothing else. The second product worth mentioning is her Rose Lip Conditioner. I use this stuff before I go to bed at night and when I wake up in the morning before I put anything else on my lips. Not only does it keep my lips hydrated, it’s never greasy and it smells ever so slightly of rose (but not that fake, overpowering, rose scent you can find in cheap soaps or creams, this is so gently scented it leaves you wanting more). So there you have it, a two-fer this weekend from me to you…Both these products can be ordered on Esteelauder.com and can be found at just about any high-end department store at the Estee Lauder counter near their Re-Nutriv products. I know if you enjoy these products a fraction of the amount that I do, then I know you’ll be satisfied.